Many of our Indian ‘gurus’, ‘pundits’ and predominant ‘sages’ believed that NUMBERS HAVE COSMIC POWERS. The Janam Nakshatra chart is often used to give an auspicious name for a newborn baby. People with name value 9 are considered Intelligent and good orators. When he was 49 years old (4+9 =13=4), he won the Nobel Prize. We have made a simple step by step guide for parents who are interested in naming their baby using numerology. If you have already named your child, you can find out what his/her name means. In simple words, numerology defines the correlation between our life and numbers. Each number between 1 to 9 is believed to have its own set of characteristics and tendencies. Numbers do have a significant impact on our names which in turn has a direct impact on our lives. Numerology is effective to such an extent that it can tell you about the obstacles that are most likely to come up in your lives. These days, most people use numerology to understand what they should focus and what they must avoid on in life. To help you better, we discussed with a few prominent numerologists to get to know their methods. Did you know that numbers and the letters of the alphabet are inter-related? This method of numerology is simple and you can determine the characteristics of your child based on his/her name. The numerical value of the name RAVI is 5 which mean RAVI is someone who will be Intelligent, Diplomatic and Romantic. After doing this for your baby, calculate your name-value and see what numerology has in store for you. This method is not only based on NUMEROLOGY but also on ASTROLOGY. Naming the child based on the birth star is probably the MOST COMMON METHOD followed. You need to know your child’s birth star. To determine the birth star, you need to exactly know the time of birth of the child along with the date. If you don’t know, you can click here to find out birth star of your child. Look up the above table to find your child’s star. You can name your child with a ‘SOUND’ according to the above chart. Suppose your baby’s star is ‘Aslesha’, a good name would be something that starts with the sounds ‘Di’, ‘Du’, ‘De’ or ‘Do’. Like – Diya, Dushyant, Dev etc. If you fail to find a name based on the sound mentioned against the star, then find a name based on the sound of the previous or next star. 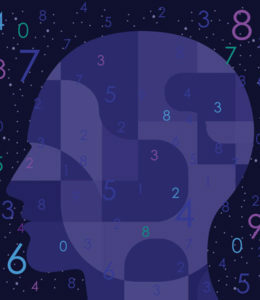 In this method, though every number is assigned to an alphabet, the values differ from those in the Name-Value numerology method. Now, take in to consideration the date of birth of the child and make it a single digit. Suppose the child’s D.O.B is 27/ 04/ 2006, i.e 25th April, 2007. The birthday number of the child Ravi Babu is 9 and the single number of his name is 3. From the above mentioned table, like you can see that 9 IS HARMONIOUS TO 3(Name single number). Thus, the name RAVI BABU is suitable to the child born on 27/ 04/ 2006. However, you need to make sure, you call your child with the same name and pronounce the complete name every time. That is if you are naming your child based on astrology or numerology, make sure you call him by his complete name, in this case “Ravi Babu” not “Ravi” or “Babu”. Surnames are in no way related to Numerology. Do not include your child’s surname along with his first name while calculating the value of the name using numerology. 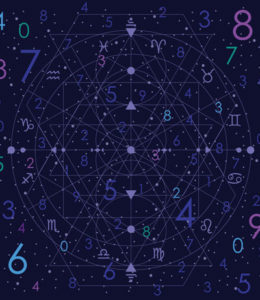 According to numerology, there are certain compound numbers which are considered POSITIVE and known to stay in harmony to the vibration of all the good planets and also with respect to the birth chart of the person. If you consider the same name, i.e RAVI BABU, the compound number turns out to be 21 which falls in the list of above mentioned favorable numbers. So the name RAVI BABU is best suitable for the child. Most of the time, numerologists follow METHOD 3 and method 4 together, to ensure the name is just not better, but it’s nothing less than the best. It is the number that is calculated using the birth date. The life Path number indicates the challenges, weaknesses, lessons, and events that you might face ahead in your life. CALCULATE the life path number of the name you are planning to name your child before deciding on a name. Life path number represents who you are and what your personality traits are that you shall carry with you throughout your life. In short, the life path number describes YOUR BABY’S JOURNEY THROUGH LIFE. In case, your life path number is 13, you need to add the digits again. Your Life Path Number : 1 + 3 = 4. The numbers 11 and 22 are considered MASTER NUMBERS. In numerology, they are considered single digit numbers and hold a special meaning. If your life path number adds up to 11 or 22, DON’T adds up the digits making it 2 and 4 respectively. They hold special value and meaning in the field of Numerology. Double-digit numbers are called compound numbers except for 11 and 22. 11 and 22 are called master numbers. Consider 28/ 10/ 1955 for a better understanding of master numbered life path number. In this case, you do not have to add the numbers to make it 4. 22 is a master number and is considered a singular number. If your date of birth is 23/ 10/ 1990, your life path number will be calculated as follows. Thus the life path number of the person born on 23rd October 1990 is 7. This is the number that is calculated using your first name as well as the surname. It indicates what the purpose of your life is. The number defines your most likely goals in life and shows you the path to achieve them. Often referred to as the dream number, it is calculated by adding up the consonants of your first name. This number tells you how you are perceived as a person which lets you do away with the wrong perceptions about yourself and let your best qualities come out and shine through. When you add on the vowels in your first and the second names, then you get the soul number. It reveals the secret areas inside you which no one else is aware of. Soul number can dig out your hidden desires, likings, and dislikings.